What our guests say about our trips. Sharing their thoughts in a full review or a testimonial in a few sentences. Dear Waterproof Team. This is my thank you letter for this week. I must say I had a lot of fears from such an extreme activity in such a hard environment, in Russia. I was therefore so happy and amazed of this wonderful experience. The dive center team is great, professional and helpful. Diving is made safe! As safe as possible. Administration is great and an actual wonder. Food and residence were excellent. And above all diving there is so beautiful! I recommend this ice diving week for every brave and adventurer diver. Also you guys in Waterproof helped me al the way. Thanks fo that! 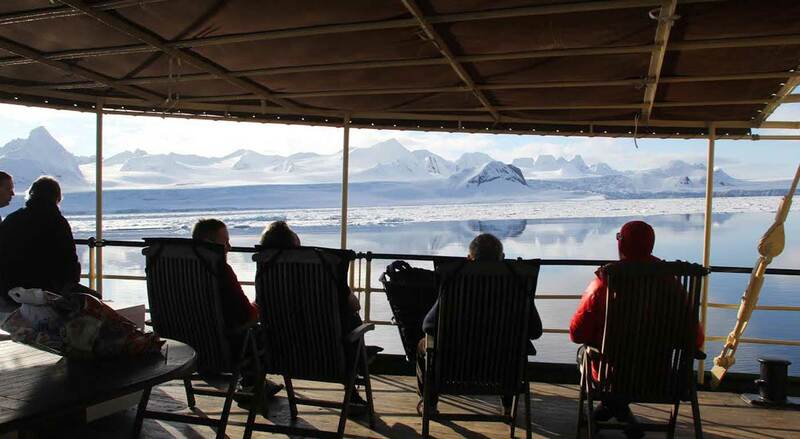 "My mom and I recently took a trip to Antarctica, South Georgia, and the Falkland Islands with Ponant Cruise Line, which was booked through Waterproof Cruises. Our trip to Antarctica was just wonderful and a once in a lifetime trip. The staff was very helpful and friendly on board. I use a wheelchair and cannot walk. Regarding the wheelchair, I was extremely happy with their willingness to help. 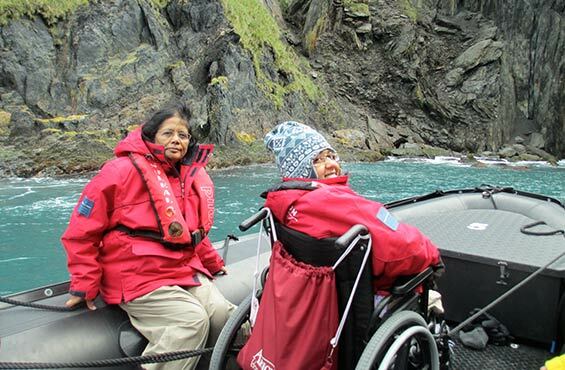 On this cruise, the expedition leader was especially open to people with wheelchairs to enjoy the places as everyone else. As a result of this openness towards disability, the expedition team made sure I was lifted into the zodiacs at every landing and onto the land whenever possible (which was many, many times). It was never a question of “we cannot take you and you have to stay on the ship”. The Soleal was great. The cabin was fully wheelchair accessible with all the things that I needed. All in all, it was amazing. It is not like your typical cruise ship, but rather an expedition cruise where the focus is on exploring the places and not on the cruise ship experience. The major drawbacks that I faced were prior to the trip. It was quite challenging to find the right Antarctica trip for my needs using a wheelchair. I did a lot of research in planning for the trip. I emailed all the companies that came up on google search. The majority of companies did not want to communicate further knowing that I use a wheelchair and cannot walk. They were not willing to work with me to see how I can make the trip. Then, I finally found the travel agency, Waterproof Cruises, online. The staff at Waterproof instantly was willing to find out information that best fit my needs to make the trip. They were very professional and worked very diligently to make this once in a lifetime trip come true for us. They were very knowledgeable with the challenges that I might face in Antarctica and took the time to find the best options. This is when they found Ponant cruise and booked the appropriate cabin for my needs. It was very well done. Waterproof Cruises did a great job giving me all the information that I needed. I commend Waterproof Cruises and Ponant Cruises for their awareness of disability needs and the willingness to make this trip come true!" The weather was gorgeous for much of the trip. The sun and glassy water made even the least experienced photographers seem like they were shooting for National Geographic. Choosing the snorkeling package in my opinion was an excellent choice. We did everything the normal groups did with the added bonus that if we saw something in the water that we liked, we had the opportunity to jump in. I was able to get up close and personal with a couple of humpback whales in the water! 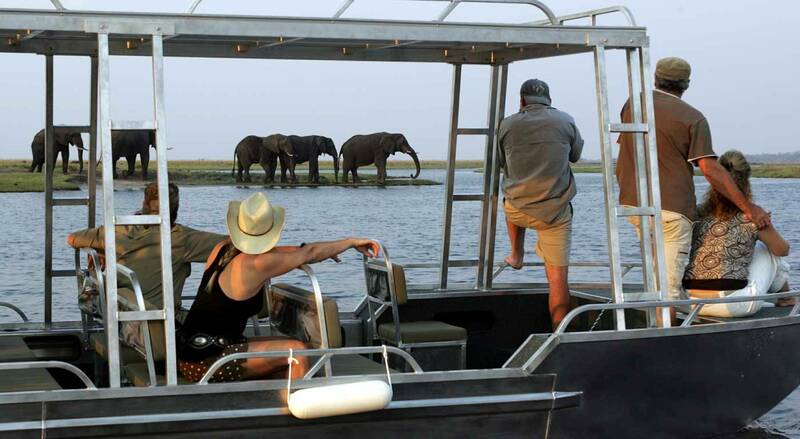 When cruising on the zodiacs, the wildlife spotting was fantastic. There were all sorts of whales, seals, penguins and seabirds. Personally, the reason I was most excited to be in the Antarctic was to see leopard seals and let me tell you... we saw them. They were either napping on the ice indifferent to our photo shoot, hunting penguins along the shore or even curiously swimming around our zodiac for 10 minutes. I think we saw at least one every day actually and most days we saw several. What an incredible beast they are! I was even fortunate enough to see a leopard come right up on beach and catch a penguin. The on-land activities were just as fascinating. There were two landing on the continent itself and many on outlying islands. We did it all: visiting old whaling stations; hiking for panoramic views of the most unspoiled landscapes on Earth; walking the shores amongst penguins and seals; seeing how several active research stations operate. My favorite station was probably the Ukrainian one but that probably had something to do with the homemade vodka they offered us on arrival. Last and probably most importantly for the level excellence of an adventure like this had was the crew. All of the Waterproof team (Peter, Martin & Steve) were fantastic, both professionally and personally. The only thing that superseded having the journey of a lifetime was the fact that we were going to do it safely. I had the most experience with Peter, who was the the guide for the snorkeling group and our zodiac driver for the entirety of the trip. I know for a fact that I speak for everyone in our group that he is hands down the best guide any of has ever had. He was funny, knowledgeable about the environment and wildlife and it obvious that he was just as excited as the group to be there. Peter was more than willing to oblige if anyone in our group wanted to cruise to a certain location to check our an animal or if we needed a different angle on something for a great photo. Can't thank him enough. I would recommend a trip with Waterproof to anyone who wants the experience of a lifetime. It's been a trip I will not forget for the rest of my life! I arrived at the Southern tip of South America after having spent 10 weeks travelling down the Andes, and I had beheld so many miracles of nature there already that I found it hard to conceive that Chile's beauty could be topped by anything. But Antarctica is truly like being on another planet. Besides life inside the ship, you see nothing at all to remind you of the earth you know. At the same time, the endless - and extremely varied - beauty of the seventh continent is everywhere around you, 24 hours a day. The landscape puts you into some kind of waking trance - like waking up every day in the best dream you've ever had. Outrunning and watching the growing mass of ice was an adventure in itself, and both on sea and on land, it became a true Antarctic experience. I was excited to get a peek into this little-visited part of the Peninsula, and the landings at Paulet Island and Brown Bluff were absolutely magical. So were the visits from the ship, wherever we went. Our visit to Deception Island and Hannah Point on Livingston Island in the South Shetlands - made another dream come true!. Antarctica unfolded an impressive pallet of wildlife, sights and weather, including a snowstorm and proper whiteout. 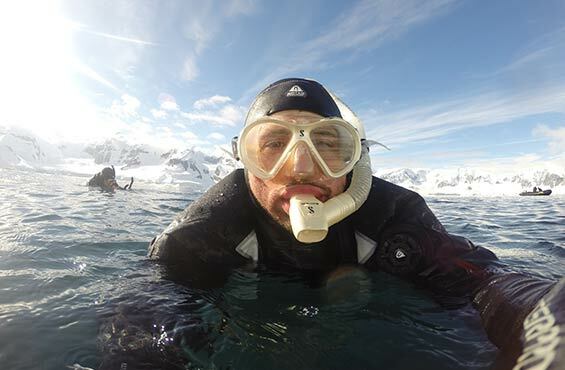 Since I went for the snorkeling option, it was also my first time in Antarctic waters and my first time in a dry suit. I had been a little nervous about it I must admit, not knowing what to expect, but it was really easy to do, the waterproof suits are very user-friendly, and not even the water felt too cold, considering its temperature is around freezing. You do need 4-5 layers under the suit, but I was never cold and would usually be the last person to get out of the water, and only because the clock demanded it. The last two days, the Western peninsula overwhelmed us with a symphonic range of beauty. We had blue skies, so around Enterprise Island we had one diving / snorkeling session which had everything - seeing icebergs from underneath, swimming through a shipwreck, filming underwater life and enjoying the magical refractions of the sunlight on ice and water. 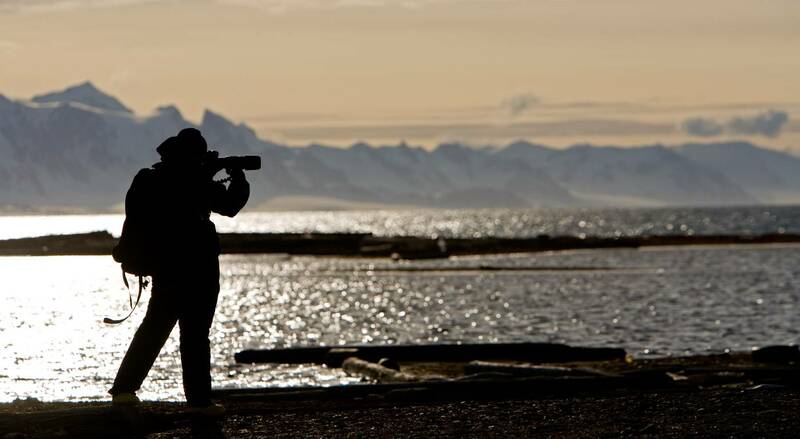 At Port Lockroy, we were treated to a breathtaking sunset and rise of the full moon and Antarctic stars while having a barbecue on the deck, and our very last landing at the Melchior Islands put our zodiacs in the middle of several families of humpback whales feeding in the bay. Whenever you thought you'd just seen the highlight of the trip, Antarctica would pull another breathtaking sight from its sleeve, it just went on an on. Truly unbelievable! Closing the trip with a visit to Isla Navarino, rounding the mythical Cape Horn, and flying over the magnificent Beagle Channel and Cordillera de Darwin back to Punta Arenas added a few more destinations to the itinerary that many a traveler only gets to dream about. Despite its shortness, this voyage felt much longer than just a few days because of the intensity of the program - two landings a day makes every day feel like two, actually. The fact that the whole trip seemed like a well-composed work of art was in no small part due to the experience of the excellent, very experienced, always enthusiastic and incredibly friendly and helpful staff and crew. It is an enormous responsibility keeping a ship full of expectations happy in these unpredictable conditions, and we knew we're in excellent hands right from the start. It's incredible how pleasant, relaxed and fun the staff and crew made our activities at any hour of day or night, especially considering that what we did is potentially not without danger. I was also very impressed with Waterproof staff Birgitta's, Martin's and Peter's track record of diving and snorkeling. The few glimpses we got into their regular work outside these cruises were magnificent, like Birgitta's film about Whales which she and her family produced for Swedish TV. All this was complemented by background info in the talks of the ship's historian and naturalist. Also, the ship itself feels extremely well built and set up, the meals were excellent and plentiful, and the crew, from the engineers to the cleaning ladies, have been a pleasure to meet. It was obvious that each and every person working on the ship and for us worked extremely hard around the clock. It might be a while before I can afford such a voyage again. But I have the virus now, and I'm already drooling over other trips that Waterproof offers. My pack would be ready in 15 minutes, and I cannot wait to sign up for the next trip! Thank you so much for everything. 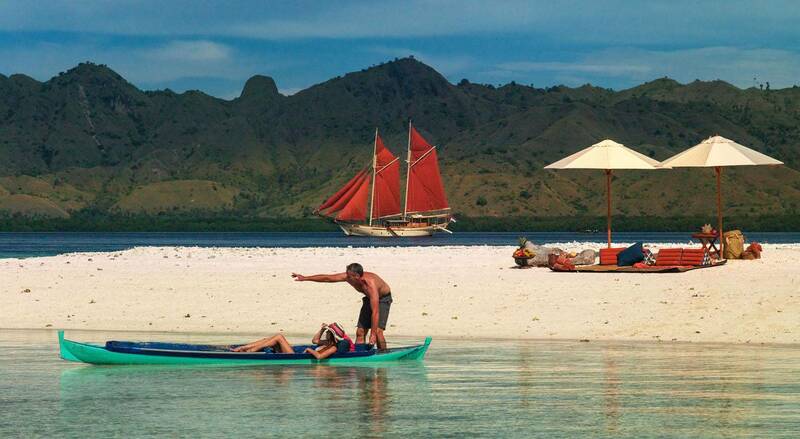 The price tag of these voyages might be a shock when first you enquire, but I can safely say that this trip has been worth every cent, many times over. "I met Pierre-Yves in the canary islands shooting for the documentary "One Day on Earth". Great footage of Pilot whales! I had such fun we had to do it again. I ask him if he was to go diving anywhere interesting in the next 6 months and he said he was going to the Galapagos with Waterproof. I signed up immediately. The diving was nothing short of spectacular! The boat, crew, accomidations, and food were steller. The boat was set up for diving better than I've seen before. Warm towels, hot showers and hot chocolate after each dive, its perfect. 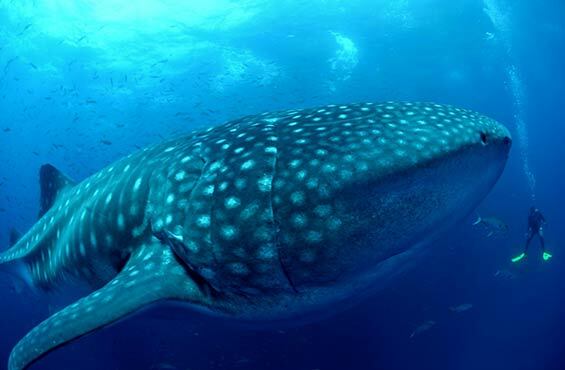 The only problem… Galapagos Diving was so good it might have ruined diving anywhere else…." What a fantastic experience I had the tremendous privilege to live, exploring the "Wildlife Paradise Galapagos" in October 2012, during the expedition with Cousteau Divers and Waterproof. The expedition in company of Pierre-Yves Cousteau, the divers team and the caring crew, will remain engraved for ever in my mind and my heart. A big thank you to each one of all this amazing and friendly people. I wish to everyone, to have the opportunity to take part one day to such a fantastic dream, worthy of the memorable expeditions of the Captain Cousteau and his beloved ship the Calypso!" "I would have gone home unhappy if I hadn’t booked the Polar Snorkel package on board a Waterproof Snorkel Cruise in Antarctica!" "Incredible diving cruise - exceeded all expectations! The dive masters, guides and crew were fantastic - very knowleadgable, experienced, and professional. It was a privilege diving with them in such an amazing place. The Leopard Seal encounters were absolutely phenomenal (thanks Goran!). 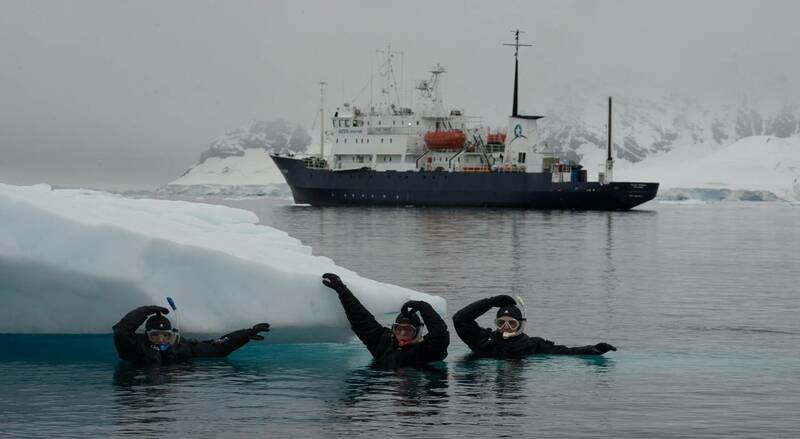 For Polar diving, I would highly recommend Waterproof-Expeditions. Thanks again for a fantastic trip!" Diving and snorkelling in Antactica. "I’m 72 years old. 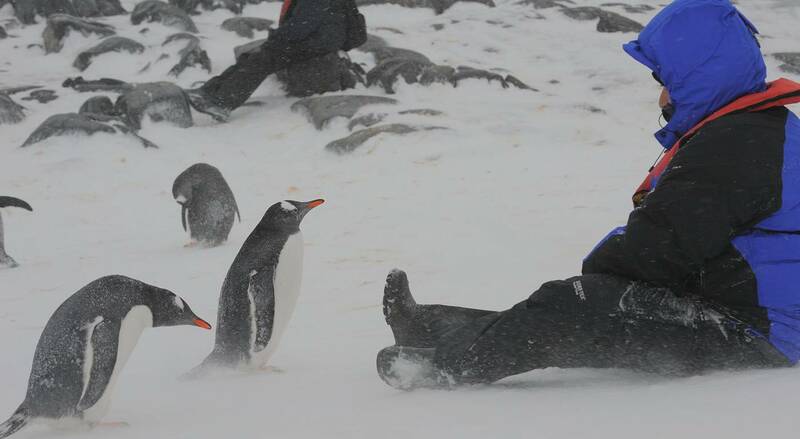 I’m a small woman… But I’ve just had a fantastic time diving and snorkelling in Antarctica with Waterproof. All my life I’ve dreamed about Antarctica but now I’ve been, with the added twist that I’ve even been under water there. I’m still a keen diver and have been diving for about 35 years... In many parts of the world. I dive regularly now in Melbourne, Australia where our winter water temperature gets as low as 9 degrees and there I have learned to dive in a dry suit..with its heavy and cumbersome challenges. 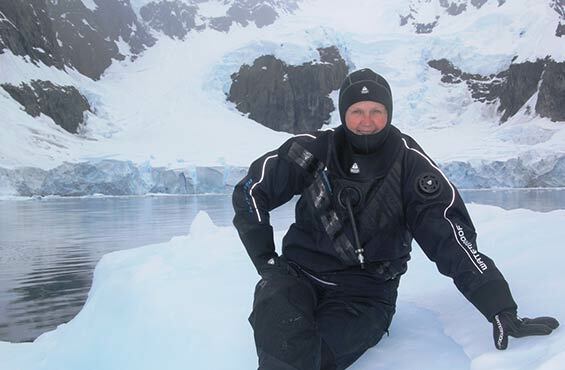 I started my preparations for the trip to Antarctica about 9 months early, and with the help and advice of many friends I tried out new gear and many layers of undergarments…often to their amusement or alarm. 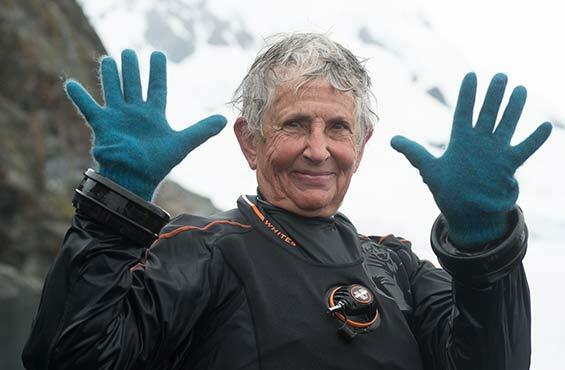 Thank you Waterproof, for a lifetime achievement!" "After coming back to Iceland and getting back to reality, Iv'e had time to sit down and reflect on my recent trip to Antarctica with Waterproof. What can I say? It was a great success and something that will stay with forever. Here is my review of different areas for your team to see. TEAMWORK - Firstly I wanted to say a big thank you to the Waterproof team on-board the Polar Pioneer - they did a first class job with the diving, and exceeded my expectations in some really tough weather conditions, and still managing to deliver as much diving as possible, within a tight timeline. Ex-Navy Martin did an excellent job as team leader and held the show together with a light touch, getting serious when needed and providing quick support on dive aspects, marine life interaction and general safety. Peter shined brightly from the moment we met him at the air strip. His big presence and bold approach to helping people impressed me, always going above and beyond for anyone, anytime. If there wasn't a way, he made one and went all out with configuring regs and assisting divers understand the Antarctic style, offering his vast knowledge on small important things like free flow and hose set up. Both Martin and Peter, obvious pro's in their own right worked superbly together and made me feel very comfortable in the water at all times. Even though no-one was there to guide the divers, their combined wisdom provided enough guile to push the divers through, making sure dive times, depths and profile were crystal clear before entering the water. Their boat handling skills were also super sharp, demonstrating advanced handling at all the dive sites. Last but not least, Birgitta made an excellent additional crew support throughout, getting stuck into tank filling and zodiac prep. I was delighted to see 230bar every morning on my tank, which let me know she had her eye on the target all the time. A soft swede with more cold water experience that she lets on to have, a great addition to the team and certainly the type of diver you need when things get rough out there. She also took time to chat individually with divers, showing great ability to coach and inspire. GEAR - Overall, the standard of gear was beyond criticism so its hard to review. Here are some of the aspects that impressed me. The navy seal style zodiac boats were nothing short of spectacular, always working without one engine issue the entire trip, and without fuel shortages (yes it happens). They were rock hard with air, not squashy like some il-treated ribs I have dived on in the past. A pleasure to dive with. The weights offered in the lead bin at the back were of exceptional quality, which made a lot of difference to divers prepping belts and pockets in a hurry. One of the big aspects for me was the dive cargo box at the back, this really made everything easy and practical. My dry suit was bone dry everyday, and had a great hanger to place it on. Really nice innovation to feature. Excellent job! Overall, I thought the Waterproof Experience was very good and even though, it was in addition to Aurora, the diving elements were highly organised and well run to meet the needs of everyone. Toni my buddy for the trip had a great time and fore-filled here dream of diving the seventh continent with success. This could not have been possible without the true passion and high level of dedication provided by Waterproof crew. Being a seasoned dry suit diver myself, I demand a lot from dive shops all over the world. To my delight, I was provided with not only an awesome team but an arsenal of top notch kit and a secure, super warm place to store it, dry it and don it within a flash. If only the weather had been flexible, I would have done more diving, but like all good things, there are always sacrifices. Guess, I'll have to come back and do some more exploring! I hope to fly the Waterproof flag here in Iceland and will no doubt recommend the trip to everyone i meet. Great job guys! Tak og bless from Iceland"
The testimonials, statements and opinions presented on our website are applicable to the individuals depicted. Results will vary and may not be representative of the experience of others. The testimonials are voluntarily provided and are not paid, nor were they provided with free products, services or any benefits in exchange for said statements. The testimonials are representative of patient experience, but the exact results and experience will be unique and individual to each patient.